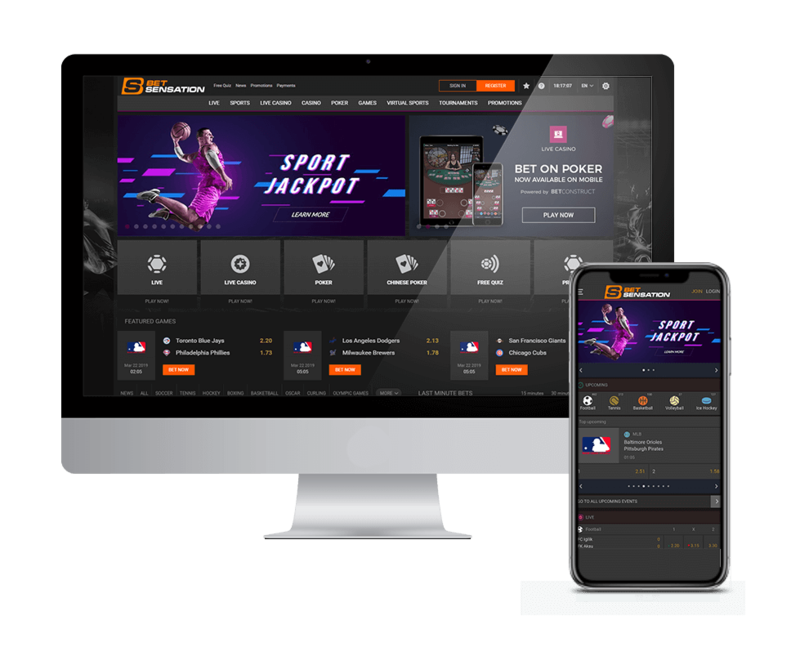 Though fairly new on the scene, BET SENSATION offers an industry-leading betting platform that gives players everything they want: Thousands of markets and live-betting options, high limits, a cash-out feature for single bets and parlays, and lightning-fast payout speeds. Live Betting Multiview: BET SENSATION offers live betting on the vast majority of its markets and its unique Live Betting Multiview feature on desktop allows you to watch, track, and bet on multiple live events all from the same screen. Cash Out: Avoid the dreaded backdoor cover with BET SENSATION’s live & auto cash-out feature, available for both single- and multi-market bets. Live Streaming: Depositors receive access to live streaming for a variety of sports, including the English Premier League. New players get a 100% sign-up bonus of up to $100 on their first deposit at the sportsbook. BET SENSATION also pays out up to 50% more on parlays and offers a 100% sign-up bonus of up to $300 at its casino. Get friendly customer service and 24/7 support via a live chat with an average response time of less than one minute. You can also request support by emailing help@bet-sensation.com.